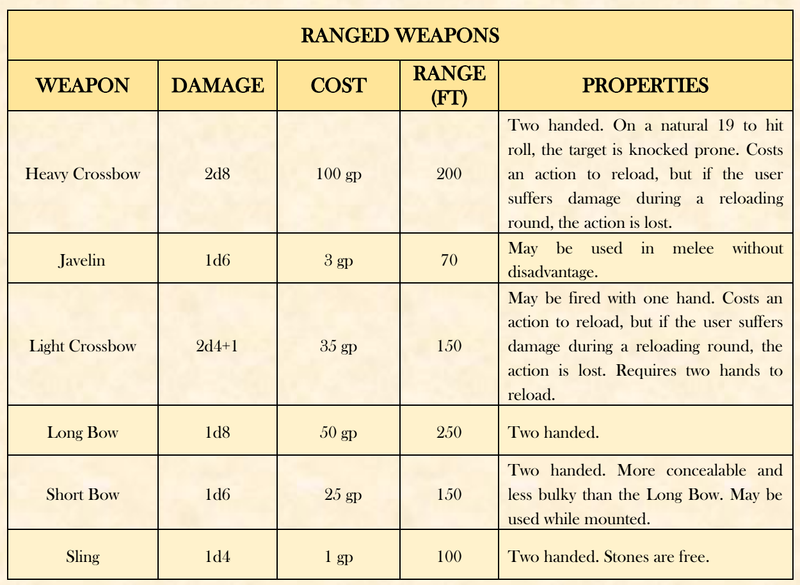 So one of the things I dont particularly like about most OSR games is that their weapon table is very basic and undifferentiated. In fact I'm fairly sure the earliest D&D had all weapons causing 1d6 damage, with no differentiating qualities at all. 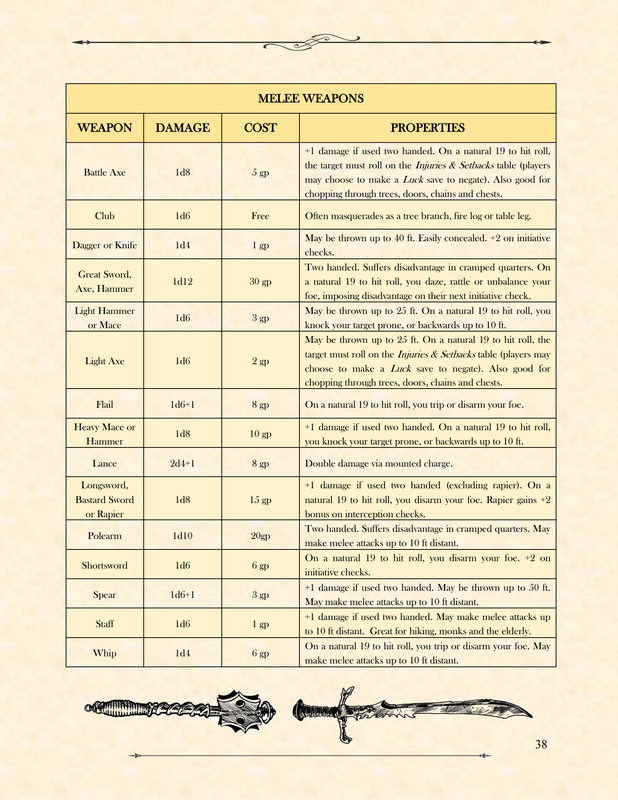 Things have of course come a long way since then, as the 5e weapon list demonstrates. But I am not really a fan of some of the differentiation of 5e weapons. I think finesse weapons cause more problems than they solve, for instance, and the 5e division of slashing, bludgeoning or piercing damage rarely (if ever?) seems to matter in play (or at least against the MM monsters). 1. To make nearly every weapon a valid/useful/competitive choice. 2. To give each broad category of weapon a special effect on a natural 19 roll, or alternatively, some other useful quality (such as reach). 3. To make ranged weapons such as crossbows more deadly, but much more difficult to use in caught in melee. So here it is. 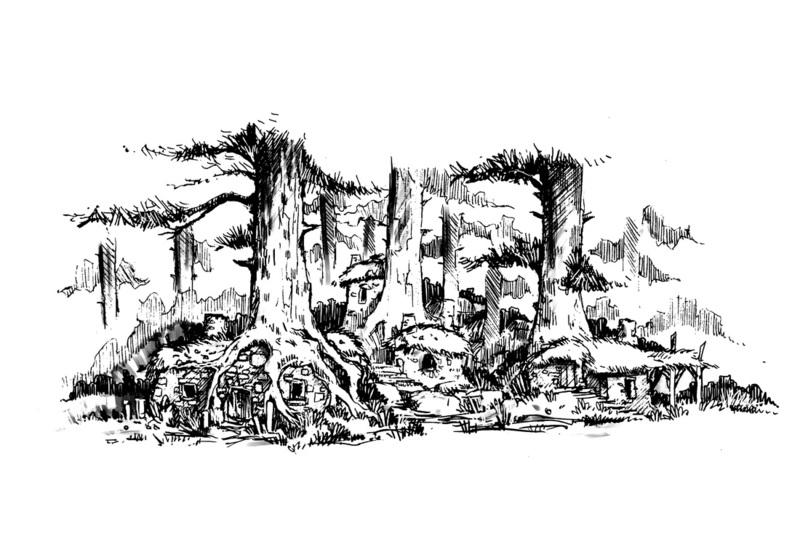 Houserule #16: OSR Alternative Weapons Table. Continuing my theme of low fantasy, this article provides suggestions for low magic items. In my (work in progress) "Low Fantasy Gaming" (LFG) book, I’ve split permanent magic items into two categories: Obvious and Discreet. Obvious magic item properties tend to have flashy or clearly supernatural effects, while Discreet powers are more subtle and difficult to detect. For low magic worlds, where obvious magic would be particularly conspicuous, I recommend permanent items having a 66% chance of a discreet property as opposed to an obvious one. A table of random Discreet magical properties appears below. On a related note, I think low fantasy settings make great candidates for magical item "attunement", and items that unlock extra powers over time - increasing in power as their owners do. This keeps a lid on the quantity of magical objects, consistent with a low magic world, but still allows players to gain new and interesting abilities as they advance. Whether these unlocked powers were latent properties, or new enchantments imbued through external events, can be determined by the GM. The additional properties might have an underlying theme, or they might not, depending on the story involved.